Julia Lock would like to invite you all to her transfer seminar on Friday 2nd May at 11.30 in M12, Moulton College Main Site. 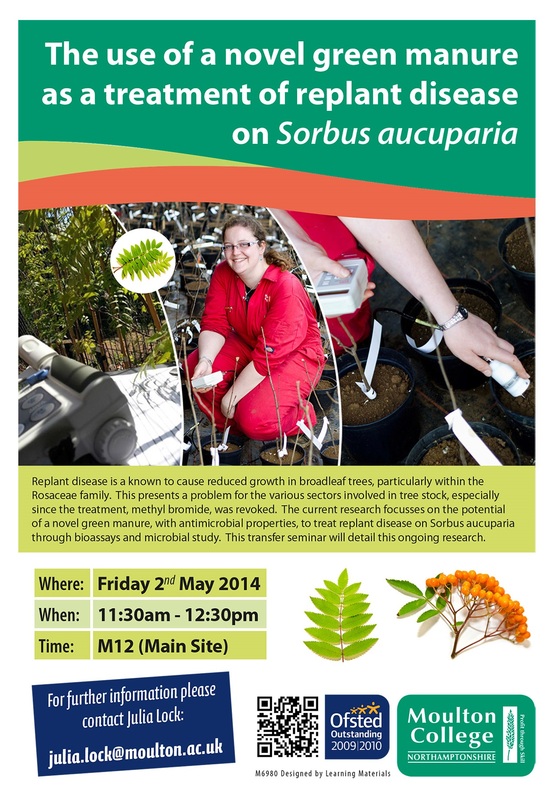 Posted on May 1, 2014, in Events, Moulton College and tagged Green manure, replant disease, Rowan, Transfer seminar. Bookmark the permalink. Leave a comment.